When the eShop was announced, SEGA aficionados welcomed the news that Game Gear titles would arrive on the platform. Famous for guzzling batteries and offering a high-tech alternative to the humble Game Boy, this was a handheld that took many console favourites on the go. The wait is almost over with confirmation that three titles will be released in North America on 15th March: Sonic the Hedgehog: Triple Trouble, Shinobi and Dragon Crystal. For those of us of a certain vintage, and with old allegiances to SEGA consoles, that's happy news indeed. We also have prices: Dragon Crystal is cheapest at $2.99, Shinobi next up at $3.99 and a premium $4.99 price tag on Sonic Triple Trouble makes it the most expensive of the bunch. We'll bring you reviews of all three titles as soon as possible after release and will keep an eye out for confirmation of the European release dates. Which of these do you remember and, most importantly, which will you download? My cousin had a Game Gear. Never really interested me that much... but I like the idea of trying out bits of the past I missed the first time around. I just wish my TurboExpress screen worked... I love that little tank of a handheld. @Heavy_Barrel: Agree I would have liked to see Columns as well. At least we are getting Game Gear games finally. MIght check out Sonic the Hedgehog and some of the other games since I never owned a Game Gear back in the day. I remember my friend had one and those things went through batteries like nothing. OH MY G-D I WANT ALL 3 OF THESE!!! Sorry for the caps, but seriously, I'm starting to regret buying Wipeout HD Fury and those crappy games I bought from Magi. My wallet's gonna be seriously hurting. This has something to do with Sonic. Why did James not post it? I was busy. I have updated it now though — we have prices. While i'll wait for reviews on all three of them i'm not sure if i can resist Dragon Crystal. It's probably mediocre at best but i loved playing Chocobo's Dungeon on the Wii and the whole Dungeon Crawler concept. From footage it only looks like a run-of-the-mill Crawler rogue-like but it's somehow sooo intriguing. @James And once again Sega is being smart by being more dynamic with their prices. GG games are the equivelent of GB Color games, they could've all been $5 if they wanted to. Or are they smart? Because now I'm only going to be getting Dragon Crystal. I can work in just $5 and I've always wanted to play that game since one of my friends went on about how great it was! Plus I like a good rogue-like. Picking up all of them. 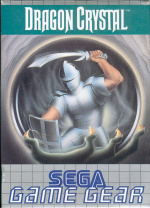 What a coincidink... i recently bought the original Shinobi and Dragon Crystal games for the Sega Master System. All 3 in one day!!!!! Oh my next week's download is gonna be awesome! "Saaaaay-Guuuuuuuh!!!"........ /me getting all these games!! I'll probably try Sonic if the review are good! I need to get my Game Gear out this week. All three sound interesting. I played Sonic Triple Trouble in Sonic Gems Collection and thought that it was fun (more fun than the ultra-challenging Game Gear Sonic 2), plus Shinobi has peaked my interest. Awesome, I hope Streets of Rage will be down the road. Maybe Neo Geo pocket games will come someday. 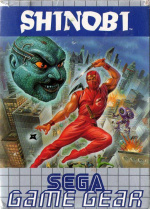 If I liked Shadow Dancer (Played it on my PSP), will I like Shinobi? ps:will you think they would take in the mortal kombat ones? I'm getting all of them although I have to wait until the 20th when I buy the zelda 3ds and another 3ds card unless I can find my other 3ds. @mumof2kids82 What happened to the one you had? FINALLY! I can't wait to download these babies! Too bad these are likely the only games we'll get that week. Hopefully, NoA will see fit to release the Rayman Origins demo (considering the game comes out on the 16th I believe). Overall it doesn't matter though, Sonic and Shinobi are as good as mine. 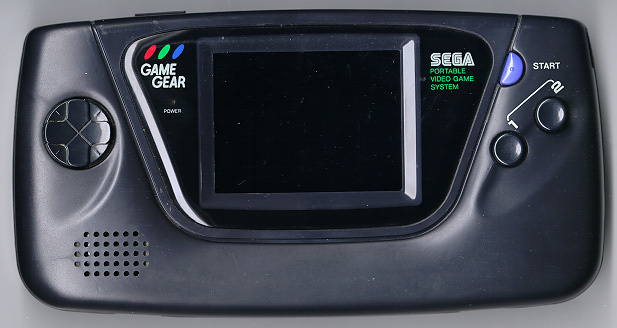 I remember playing my brother's GameGear and how MASSIVE it was. He had a handful of games. Sonic Blast, Sonic The Hedgehog 2, Xmen and some baseball game that even my dad played a lot of. It was a great system. Ahead of it's time though. 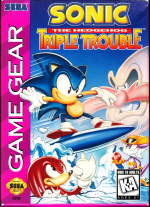 I'll have to get Sonic the Hedgehog: Triple Trouble at least, so I can at long last play a Game Gear game (I FULLY supported Nintendo in the 8 bit, 16 bit, and handheld wars, so never put my hands on a Game Gear) and see what all the fuss was about back when (aside from being a battery killer). Is Dragon Crystal an RPG along the lines of Final Fantasy and Dragon Quest? I'm tempted, but want to find out more first. That reminds me, unrelated to Game Gear, I hope we see Game Boy Final Fantasy Adventure & Legend games one day. @Fluttershy No, it's a rogue-like with a Monster-raising mechanic. I suggest looking up youtube videos first. Nobody can answer my question? What is Shadow Blade? I was talking about Shadow Dancer. I'm sure a lot of people must've played it as it was on the Genesis. The AI dog was cool. Thanks for the link though. It looks fun. Unless one of these titles really catches my interest, I may just pass on the Game gear games all together. Still awesome to see more variety finally hitting the eShop. It was just a typo. It's popularity is hard to guage, but I think it was the Black Sheep of the series. But if it looks fun, you'll probably like it. Watch out, though, it's harder than he made it look! I like the prices being variable instead of a set price. I think that was/is one of the big flaws of VC on Wii. Cool! I'm afraid that the old SEEAAGAA thing will get in my head though. Shinobi at 3.99 sounds great to me! Can't wait for your guy's reviews on these. I may get Dragon Crystal and Shinobi. Never played a GG game before, but I'll wait for the reviews on all 3 of these before I drop any cash on them. The Gamegear was my first handheld, the colour screen looked so much more appealing than the Gameboy, but I quickly found it to be a poor system due to the short battery life (a handheld needs more than 3 hours battery life). I had a few decent games on it though and I'll certainly be picking up Shinobi on the 15th. I'm getting all three the game gear was my first hand held as well. Japan is getting these on the 14th, so it looks like its the same week for all regions. We're also getting the Game Boy Castlevania as well, so they didn't skip on the Game Boy game just because the Game Gear games were coming out. Why is Sonic the most expensive? Also what is up with Treble Trouble? 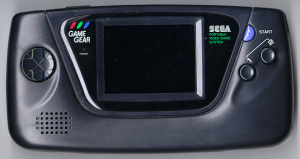 I Hated The GameGear when i got it during it's launch. I think I had Sonic the hedgehog(probably my least favorite portable game of all time...Frustrating and irritating difficulty-wise), Streets of Rage and something else which i took to Disney Land when i was struck with the Sega bug. Sure playing in 'color' was awesome, but the game gear itself was a bulky battery sucking mess and the games i played didn't pack the same amount of fun as the GameBoy did. Still, I'd love to give some of the classics a go on the 3DS's GG VC. @Knuckles Ready for some weirdness? On the Japanese VC the three Game Gear games are coming out the same exact price. They're actually cheaper than most of the Game Boy games. The Sega Mega Drive was 600 points for each game on Wii VC. I presume they don't have the confidence to sell Sega games on the VC. First Sonic game on the Game Gear is an excellent version, better than the Master System with nice redrawn graphics for the small screen. Hope they release that, as I prefered it to the sequels such as Triple Trouble. I'd be rather irked if this is true, and there isn't an option to just do away with the false Game Gear faceplate..
Well, considering that the GameGear was my first game system ever played (with Sonic 2 as the first game), I was waiting very anxiously since before the 3DS launched. Finally, they're having GameGear software. I will admit this, though: I did try Triple Trouble on SADX, and I really didn't get too into it (mainly because of controller). But, I'm willing to give it another go on the 3DS. Hopefully, they'll have Sonic 2 (and maybe The Lion King and Aladdin, cuz I loved those growing up) at some point.